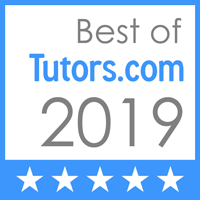 Tutors provides flexible tutoring in your home. We are available weekdays and weekends as well as holidays/summer breaks. After assessing the student’s needs, tutors will determine if supplemental materials are needed and create a curriculum if necessary. Homeschool tutors are also available. We also tutor college students in higher level math and English courses. After your first session, you will receive a personal follow up phone call to make sure you are satisfied. If you would like to try another tutor for any reason, this is possible. We want your son or daughter to have the best tutor match. Beach Cities tutoring provides tutoring in all preschool, elementary, middle and high school subjects including: English, Writing, Reading (phonics/decoding/fluency), Spanish, Pre-Algebra, Algebra, Geometry, History, Biology, Earth Science, Chemistry, Physics, Calculus, Pre-Calculus, Accounting, and Statistics. Some tutors can tutor multiple subjects within a one hour session as needed. Beach Cities tutoring will tutor small groups of up to 5 at a reduced rate at one family’s home. This includes book clubs, SAT Prep, Study sessions for tests, math review, and Spanish lessons. From f0urteen years working in special education with parents, teacher, speech pathologists, school psychologists and paraprofessional aides, our team realizes that communication with the parent and school staff is crucial to your child’s success. Tutors are happy to communicate with the student’s teacher and provide regular feedback. Tutors can help develop successful skills and strategies for test taking that are appropriate for simple spelling tests to college admission tests. They provide opportunities to apply skills learned so your child will feel confident, prepared, and familiar with a testing situation. Tutors also teach relaxation and concentration techniques. We also specialize in ISEE, SAT and ACT prep! Tutors use techniques for supporting students with learning disabilities have a remarkable success rate. Credentialed special education teachers will consult with your tutor. From students with reading problems, ADD/ADHD, auditory processing problems to those who are formally diagnosed as learning disabled we will design goals and plan for the individual needs of the student. We have had a high demand for online or Skype tutoring. This is a great option if you are out of town, live far from the South Bay, or want more flexible time options. We can accommodate. We offer tutoring for children, teens, and adults who want to learn English or improve their English language skills. We will recommend materials that will help students during and outside of the tutoring sessions. We have tutors who have TESOL certificates and ESL experience teaching English in the US and abroad. We are now offering school pick up if you would like your child picked up from school and brought home by the tutor. If you are a working parent this can certainly make your life easier. Whether your child is an auditory, visual, or kinesthetic learner, our tutors will use the appropriate strategies that will result in success. Techniques are shared and practiced, so students can achieve success on their own. Tutors offer attention in your home where your child feels most comfortable rather than in most franchise tutoring centers where there may be distractions and many other students and tutors close by. In addition, tutors develop a close relationship with the student, whereas, often franchise tutoring centers use multiple tutors on different days depending on when the student comes to tutoring. Beach Cities tutoring will offer the opportunity for your child to gain greater understanding of subject matter through the application of skills that are above their actual grade level. Curriculum Instruction: Teaching the curriculum on a daily basis — Full-time. Courses: Teaching only selected courses of the curriculum — Part-time. Concepts: Teaching only selected concepts or topics from a course — Part time. Resource Teacher: Assisting the parent as a consultant, teaching learning styles, monitoring, and assessing the student. There are many homeschooling options available from free, public school options to private schools who can provide appropriate curriculum.